It's wonderful to grow your own fruit and vegetables but what do you do when it all ripens at once? How do you cope with the glut which threatens to overwhelm you? 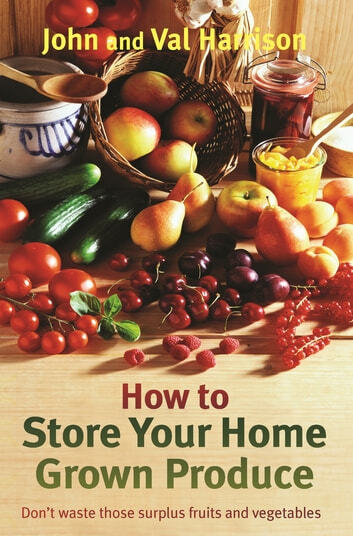 Will help all those who grow their own fruit and vegetables to store their produce properly so that it will last for months and feed the family when the garden's bare. 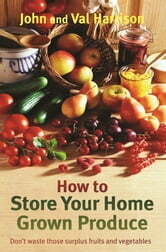 Easy and practical advice on how to bottle, dry, freeze and even salt home grown fruit and vegetables. Discover the taste of your delicious homemade jams, chutneys and ketchups. John and Val Harrison reveal just what you can do with that bountiful harvest and share their 30 years' experience of growing fruit and vegetables and you'll never waste another tomato or courgette again. 'Britain's greatest allotment authority'. Indpendent on Sunday.